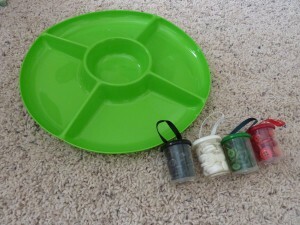 I shared a few weeks ago about these fun, colorful plastic party trays that I found that can be also used for sorting items. 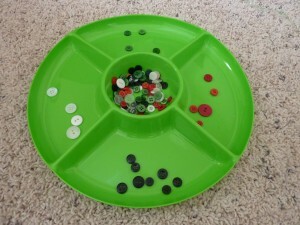 (Here is the link to Party Tray Sorters.) 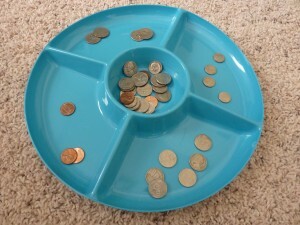 Here are two more ways to use them with things that you probably have lying around the house. 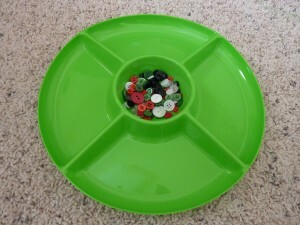 Using a party tray like this makes it super simple to set up, easy to have the items contained while also providing a good space to sort into. 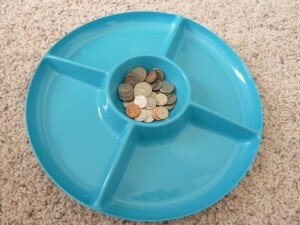 We did this particular station activity during our last My Obstacle Course. 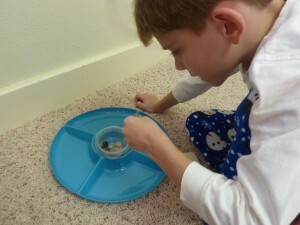 It was great to see him able to identify the coins but also learn the difference between nickels and quarters by placing close attention to the details on the coin. I got to point out the different presidents and also remind him that Monticello is on the nickel and is a place that he has visited when we lived in Virginia.